Pat Conroy is the New York Times bestselling author of two memoirs and seven novels, including The Prince of Tides, The Great Santini, and The Lords of Discipline (source Goodreads.com). And he is the author of a wonderful quote, which I am posting for the Writer’s Quote Wednesday blog event, hosted by Silver Threading. Isn’t it a lovely way of looking at it? There’re times, when you feel sad about leaving one place or another, nostalgic for the moments you had there, but we do all keep those memories forever, coming back to them like to a favourite book. 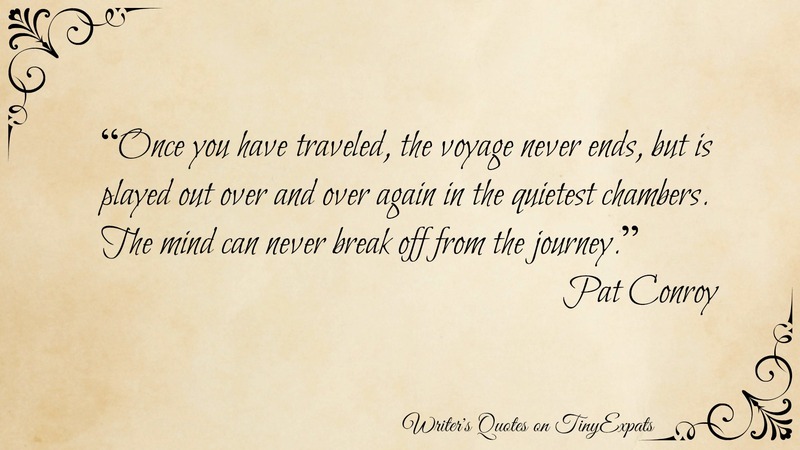 “The voyage never ends” – a wonderful attitude, which I will work hard on adapting. Absolutely true!!! I myself relive many of my journeys. This is so true. Indeed, memories are ineffaceable. Love this quote. It is so true!